Well positioned lift arms, a standard rear-view camera and a 360-degree, panoramic view from the pressurized, FOPS/ROPS-certified, sound-reduction cab give operators a clear view of the job site with enhanced line-of-sight to the bucket edge at ground level. 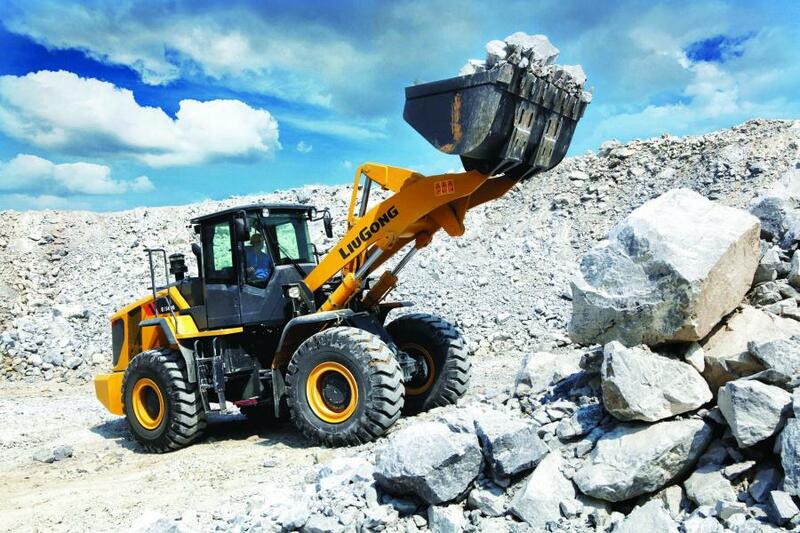 World of Asphalt 2018 attendees will get a closeup look at the new mid-sized LiuGong 856H wheel loader designed specifically for the North American market. The LiuGong 856H offers owners industry-leading productivity, fuel efficiency, operator comfort and safety, according to the manufacturer. Powered by a 225 hp, EPA Tier IV Final Cummins engine for maximum power with low fuel consumption, the LiuGong 856H ensures high productivity through advanced technologies including a powershift transmission and advanced load-sensing hydraulic system. A new bucket design carries more with less spillage traveling over rough ground. The LiuGong GPS system provides ready access to operating data for accurate fleet management. An electrically actuated, wide fiberglass hood and rear swing-out fenders allow easy service access. For more information, visit www.liugongna.com.